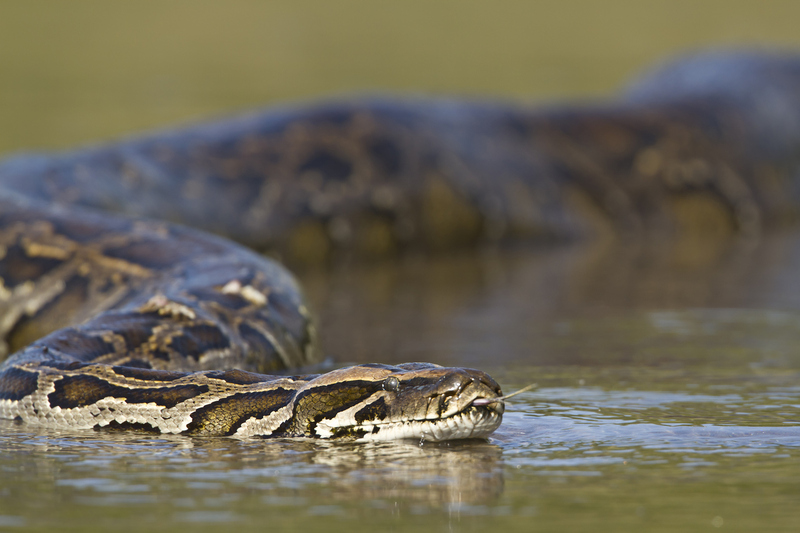 If you're an avid deer hunter who's looking for something to hunt between now and fall, the Florida Everglades could use a hand getting rid of its pythons. The Everglades National Park will now allow state-contracted python hunters onto its federal lands to find and kill the invasive Burmese python. Despite efforts to remove pythons from the area for years, the snakes are ravaging the park’s wildlife populations. This is an unprecedented move considering decades of resistance by the national park. Hunting is prohibited in the Everglades. In the past, the Florida Fish and Wildlife Conservation Commission (FWC) had been refused when trying to include the park in it’s state-authorized efforts to hunt pythons using hired, contracted hunters. If you're a hunter in the U.S. seriously considering helping Florida out, you might feel a bit discouraged when you read the requirements. You must have some python-hunting experience if you expect to be hired. Still, if you're an out-of-state hunter who’s retired or has some time to chase an adventure, you could potentially move down to Florida and bag three pythons and you'll be eligible! Below is a list of all requirements and details as provided by the FWC through the state agency’s Python Removal Contractor Program. Have captured and removed at least three Burmese pythons from the Everglades ecosystem while working under a valid FWC Python Removal permit, as an Everglades National Park Authorized Agent, or from private lands with landowner permission — pythons removed from private lands must be documented by photographs and must have been euthanized at the time and site of capture or deposited with the FWC. Have no violations on any FWC issued permits, or other animal-related citations. Have sufficient time to conduct self-directed surveys using the predetermined routes and to efficiently respond to survey requests. Possess personal communication capabilities, including a cell phone and valid email. Assume personal liability for health, welfare and safety of themselves and anyone assisting them. Project a positive image at all times. Contractors will be paid monthly by the FWC for python removal efforts based on hourly rates ($8.25/hour for surveys conducted on Everglades and Francis S. Taylor WMA and Everglades National Park; $15/hour for surveys conducted on Holey Land, Rotenberger, Big Cypress and Picayune Strand WMAs and $15/hour for responding to survey requests). Contractors will also be paid $200 for removal of each active python nest that has been field verified by FWC. For all submitted pythons, the FWC will make an additional payment per python of $50 for pythons measuring up to four feet, and an extra $25 for every foot measured above four feet (see illustration below). To apply for a PRC position, complete the PRC application. For more information on how to submit the information or to learn more about becoming a contracted python hunter, go to FWC’s Python Removal Contractor Program.